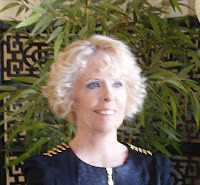 I'd like to welcome a writer friend of mine, Denice Hughes Lewis. 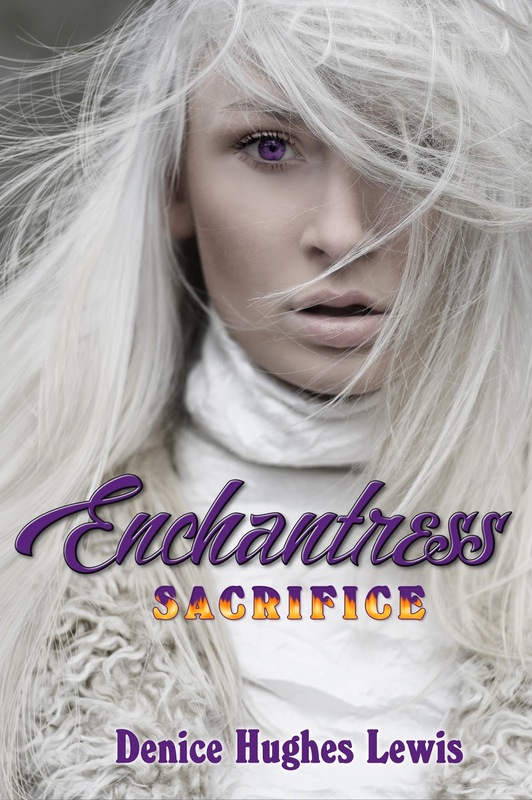 She is celebrating the release of her young adult novel, Enchantress, Sacrifice. Welcome Denice! Congrats on the release. (Throws confetti!) Tell us about the book. An invisible barrier protects an uncharted island and its natives from the world. A Beast grows deep within the island ready to destroy it. Only a baby can save the island, if she survives her forbidden birth and gains the powers of an Enchantress. Elandra, the newborn, struggles in shadow until she can breathe light instead of air. Rescued after her mother’s murder by a monster with the soul of a woman, she hides underground. A secretive healer becomes her mentor. He sends her to the surface before her sixteenth birthday to gain the power that will fulfill her destiny. He hasn’t taught her how to control her emotions--the only thing that gives her a chance of survival. A shipwrecked young man complicates her feelings making her unwilling to accept her destiny as a savior. She chooses a quest to become normal, risking the lives of her loved ones, her own life, and the existence of the island. This story wouldn’t have been written if my writing/author friend, Suzan Noyes, didn’t drag me to a writer’s conference. I needed something to read for five minutes and wrote a few chapters that were so well received that I was inspired to continue. Oh, that's a great story. And can I just drool over your cover for a few moments? I really love it. Before we share the really FUN book news, how about if we get our readers excited with a little sneak peek? This damp dungeon slithers into my soul. So dark, that I can see nothing. Devoid of the thing I need most in this world in order to survive--the breath of light. Even the darkness cannot stop my ability to feel, to know exactly what my treasured friends are experiencing in their cells. I hear the roar of Bryntar as she fights the chain confining her clawed hand. Daniel suffers with chilling fear for me, rather than himself. I block out all remembered pain, too much to bear now. For this is my fault. My desire to become normal was selfish. If I cannot find a way to save my loved ones before my execution, I shall go mad and the Beast will devour me. If you're seeing this post on the 18th, don't worry, it has only jumped up to $0.99. I love young adult fantasy, especially survival stories filled with adventure. If it's a coming-of-age story fraught with choices concerning personal responsibility, romance, family and life-or-death, all the better. More of my loves include kids, animals, movies, nature, art, and especially adventures in unlimited imagination. My other interests involve writing plays, music, and directing for the stage. I'm an award- winning eBook author and screenwriter. When I'm not writing, I'm walking my Pomeranian dog, taking care of my 31-year-old blind pony and my 150-pound goat. Thanks for visiting, Denice. Best of luck to you and Enchantress. What a gorgeous cover, Denice. And the story sounds fascinating. Congratulations. Best of luck to you. Love this cover! Stunning, isn't it? Can't wait to read. 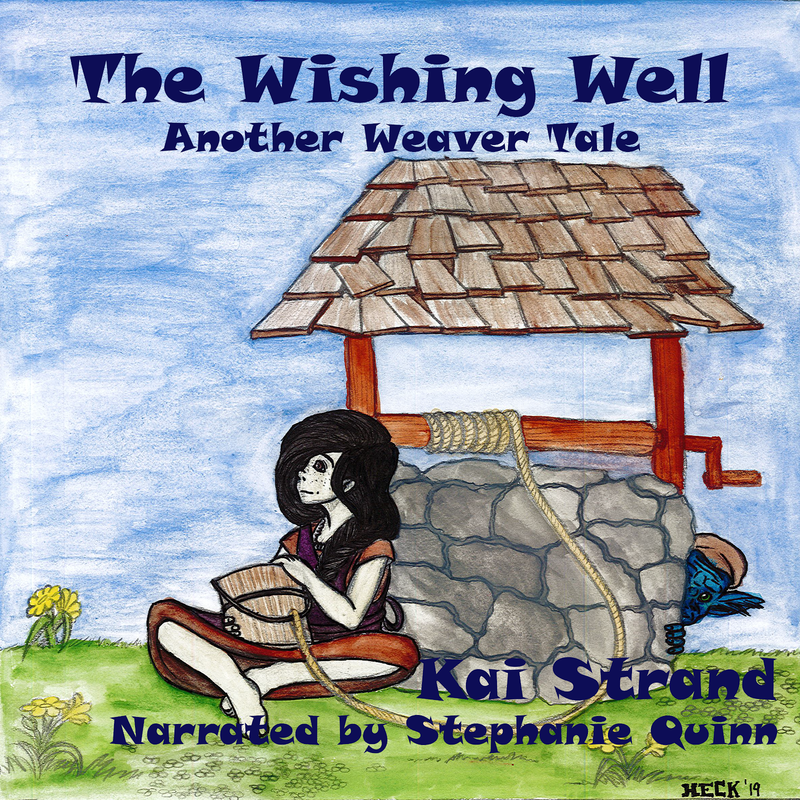 Many thanks to you, Kai, for announcing my launching on your blog! I really appreciate your enthusiasm.